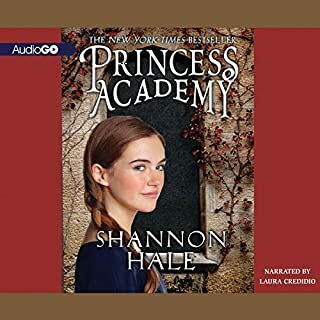 Would you consider the audio edition of Princess Academy to be better than the print version? I imagine the print edition may have an edge because it would not suffer from the horrible narration of the main character's voice. She is supposed to be an independently minded young teen but instead talks like a whiny 7-year-old. The narration of her internal thoughts is fine but that voice...ugh. What three words best describe Laura Credidio’s performance?